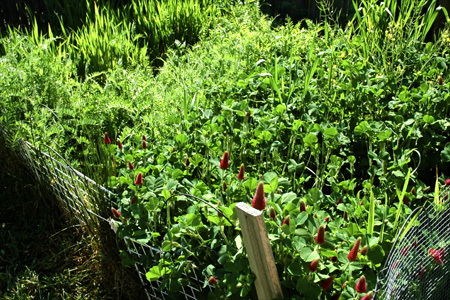 Cover crop mix in urban garden. Calling all Gardeners! Would you like to: Improve your soil? Add nutrients for next year’s veggies? Start out with a weed-free plot next Spring? Get free seeds for your garden! Directions: Turn north from Route 13 onto 3rd Street (toward the Farmers’ Market). Turn left onto Carpenter Circle (BEFORE the railroad tracks). Come through the gate on your right to enter the West side of the garden. Please see this flier for more information and spread the word to your fellow gardeners! For more information please contact Megan at: meganmgregory1@gmail.com or 847-287-7794.